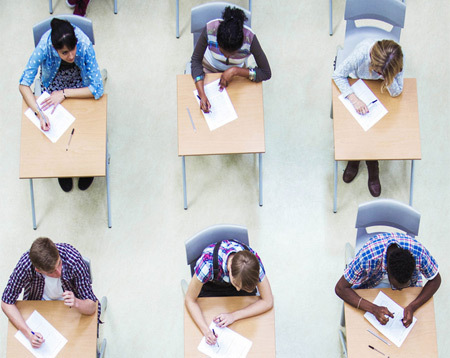 Educators were challenged to train students to meet the needs of high standard global travelers at the opening of the 15th Educators Industry Internship Programme, by Eulease Beneby, acting deputy director of education, school management and registration. 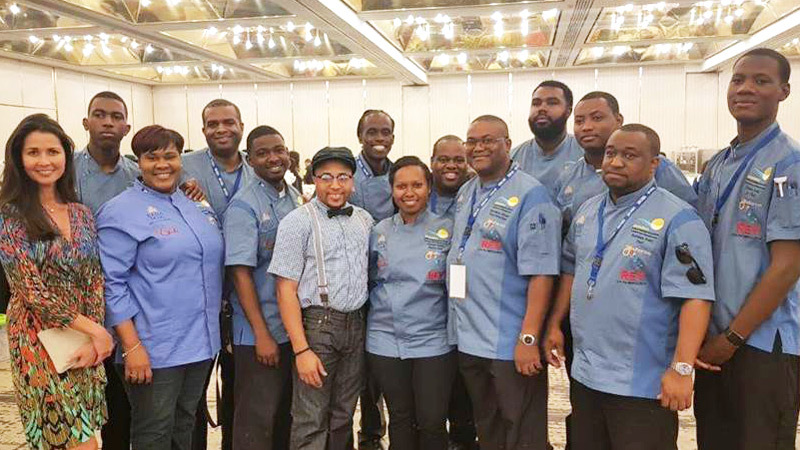 The 2018 National Culinary Team will come home donning a slew of medals including: TEAM GOLD for The Caribbean National Team of the Year Competition; Chef Jamal Small won Gold AND was inducted into the coveted “Hall of Fame” for winning overall “Caribbean Chef of The Year”; Junior Chef Hazen Rolle blazed a trail winning Gold for “Junior Chef of The Year”, he too won overall Junior Chef of the Year and Hall of Fame acclaim, a feat achieved by The Bahamas for the 2nd year in a row! 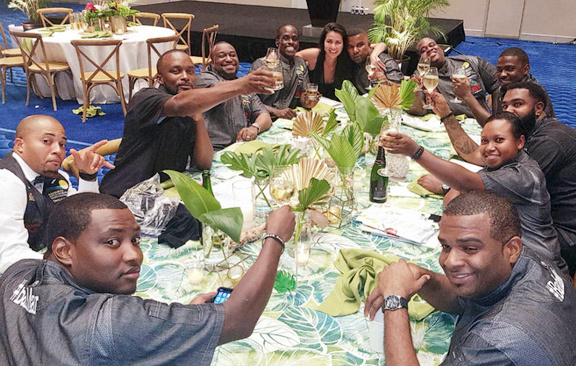 Dinner guests gathered at Baha Mar to savour offerings by the Bahamas National Culinary Team, who are preparing to compete at the upcoming "Taste of the Caribbean" competition. 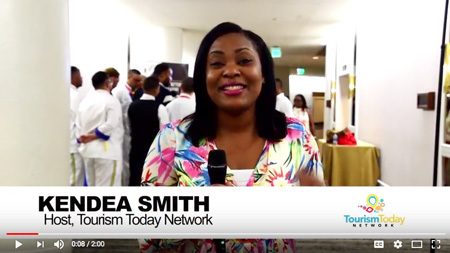 The Bahamas Hotel and Tourism Association hosted the annual event to build support for the team ahead of the June 22-26 competition, and provide guests with a "taste of things to come". 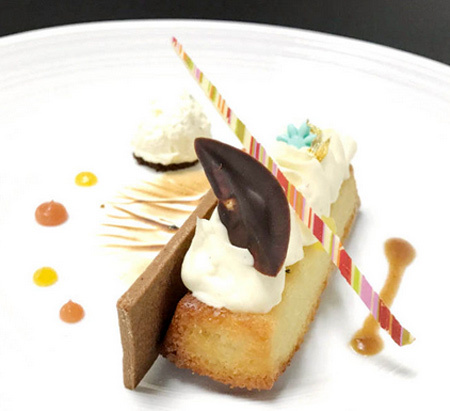 The Bahamas is among 11 teams in the hunt for the 2018 Taste of the Caribbean title at the region’s premier culinary competition. 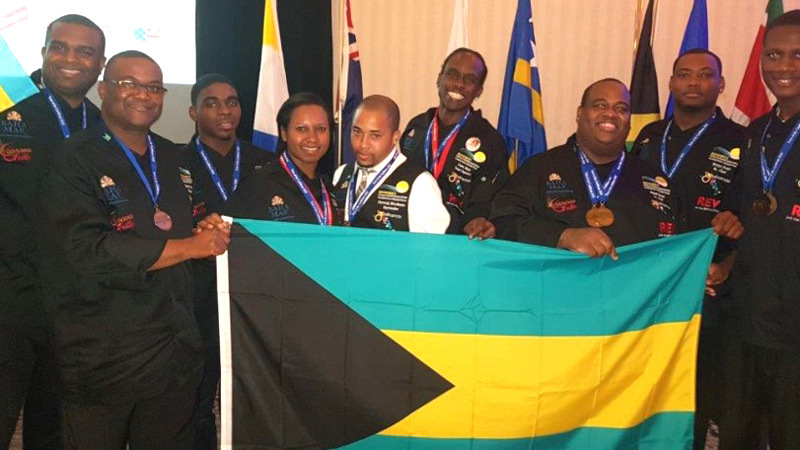 And team manager chef Mario Adderley says the squad is ready to head out to put its best foot forward at the Hyatt Regency Miami.